Fallout Script Extender - FOSE Absolutely required to start main quest line, uses special functions to control currently playing music. "Hamburger Heaven" font used in the Schytt's Market logo is property of Nick's Fonts. Re-colored for use in-game. PSD of re-colored version is packaged with Washington's Malevolence. "Soft shell crab houses on Tangier Island, Chesapeake Bay, Virginia"
Modified for use in "Washington's Malevolence"
Any missing credits are always accidental. Do not hesitate to contact me if I missed something! All credit and copyright info is also inside of the readme included. > MQ00 - Underlying code has been rewritten and cleaned up. - Intro timing has been slightly tweaked. > MQ01 - Underlying code has been rewritten and cleaned up. - Dialogue timing has been tweaked. > MQ02 - Underlying code has been rewritten and cleaned up. > MQ03 - Underlying code has been rewritten and cleaned up. > MQ04 - Underlying code has been rewritten and cleaned up. > VAULT 89 REFRESH UPDATE: This update brings a refresh to Vault 89, giving it life by adding in new dialogue and side quests that were left unfinished prior to release. > MQ08: Allied NPCs are equipped with more realistic armor and have been given a HP buff where necessary to counteract. > MQ09: Jimmy and his followers now stay in their expected position properly. > MQ09: Jimmy and followers are now doing something other than blankly staring off into the distance. > MQ09: Objectives now complete properly. > MQ11: Can no longer get close enough to talk to the NPCs at the top of the stairs early. 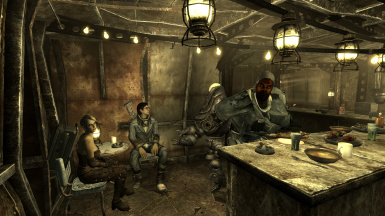 Looking for the brand new Tale of Two Wastelands edition, with New Vegas-specific features and slight upgrades? If you use an ENB, you will notice janky behavior from NPCs during what are supposed to be scene transitions. 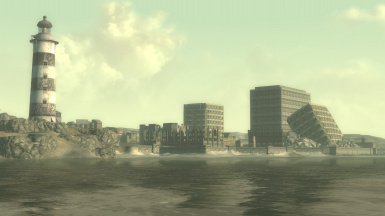 Washington's Malevolence makes use of imagespace modifiers to set up story events (the most noted one being the initial encounter with the Enclave at Paradise Falls) and while using an ENB, you will notice NPCs being disabled, moved around, etc. This is totally normal behavior that the player should never see. If I knew how to get ENBs to play nice with the modifiers, I'd be all over trying to get them fixed! As it stands right now, I can't advocate using ENBs with this mod for that purpose. If you want to use them, you use them with the understanding that this is a known issue and there's really nothing I can do about it. Also, to add, since the TTW version has been released, I am officially deprecating this version. If I have the time in the future to back-port some of the bug fixes from the TTW version, I will do it, but until then, it's definitely time for a break. 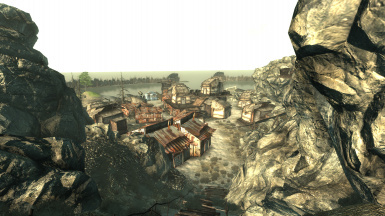 Washington's Malevolence is a DLC-sized quest mod that enables the player to travel to Maddox Island in the Chesapeake Bay, in search of the old Rocky Cape Bank, a pre-War bank said to house untold riches. Along the way, the player will get to explore the island, visit several new locations, and meet different people from different backgrounds that will shape and mold the events that take place during the player's visit. This project has been a self-built labor of love for the past 5 years of my life. Without the help of a great team of voice actors, this project may have never seen the light of day. I'm proud to finally release this thing out into the open; I'm very excited to share the story of Maddox Island and its inhabitants with you, the player. 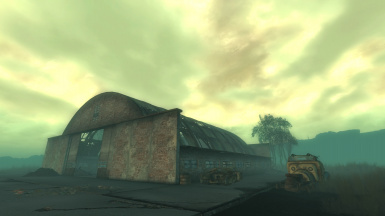 As this project has been in development for so long, there may contain locations, names, and events that conflict with established canon from Fallout 4 and Fallout 76. This mod is NON-CANON, and will likely contain elements that conflict with the lore of the Fallout universe as it stands today. The project was initially completely voiceless; however, after some consideration, I decided I would attempt to get as many of the roles voiced as possible. Some roles are as of release un-voiced; only a few roles were left that way because I couldn't find anyone to do the voices for them. Plus, I have been working on this for a few years as a spare-time project; I will do my best to offer support but I cannot guarantee I'll be able to answer every single last question. If I ignore a post, I promise it's nothing personal! I probably just skimmed over it and will probably see it again at a later date. You will not be able to travel back to Maddox Island upon the completion of the main quest. That being said, this is my first mod, and probably last for a while; making this took up a sizable chunk of free time, and quite frankly, I've grown sick of looking at the GECK! Also, a big thanks to Jack for his assistance with the audio mastering and VO recruitment, as well as a big thanks to Dakota Myers for his assistance with VO recruitment! As of version 1.2, WMUpdates.esp is NO LONGER REQUIRED. If you still have it, drop it from your load order after updating. No, dropping it will NOT make you drop through the terrain or cause weird animation bugs. Restart your game if that occurs. Although not required, turning on subtitles is strongly recommended due to the nature of one of the main characters. You absolutely must have FOSE installed to do anything with this mod as there are FOSE-specific calls in certain important scripts. There is a check in place that prevents the player from starting the first quest, An Apropos Proposal, if the game does not detect a valid FOSE installation. Extract the contents of the .rar file to your Data folder located in the main directory of the game. For Steam users, this directory will be wherever your Steam library is located. For GOG users, this will be wherever GOG installed the game. SOME FORM OF ARCHIVE INVALIDATION IS REQUIRED. The mod will CTD upon transitioning to Maddox Island if some form of AI is not in place. See the changelog section for updates. 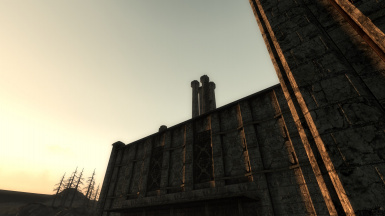 Any mod that edits the Paradise Falls and Rivet City exteriors. The mod only uses the outskirts of both locations but I list the entire exterior of both locations to be on the (extremely) safe side. Any companion mods. 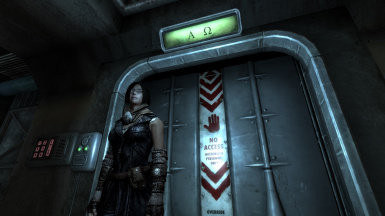 The vanilla companions are dismissed as they should but custom companions must be manually dismissed prior to approaching the second meeting location in MQ00. Extra companion mods may break certain dialogues as well. ENBs seem to break all the imagespace modifiers used in the mod. As a result, cutscenes will look incredibly strange and janky due to how ISMs were used to cover up animation and scene setups. There will be absolutely NO donations accepted for this project. If you really want to donate to something, donate your money to a local charity that would need it the most!